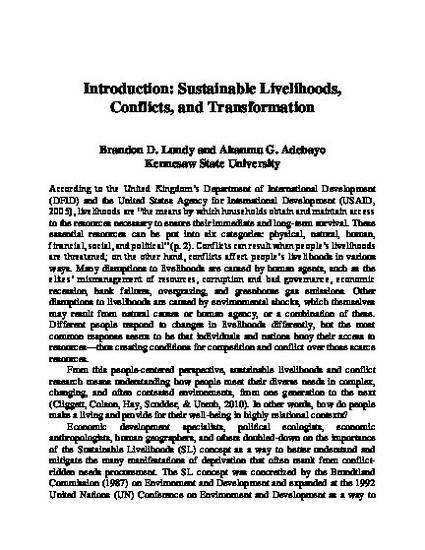 Brandon D. Lundy is Associate Professor of Anthropology and Associate Director of the PhD program in International Conflict Management at Kennesaw State University, Kennesaw, Georgia. Email: blundy@kennesaw.edu. Akanmu G. Adebayo is Professor of History and Director of the Center for Conflict Management at Kennesaw State University, Kennesaw, Georgia. Email: aadebayo@kennesaw.edu.